Experience: The ideal candidate will be a qualified solicitor or CILEX. 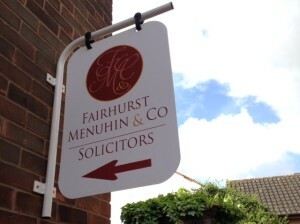 We are looking to recruit a Criminal / Family Solicitor in our Newmarket office. This position will be offered on a full time and permanent basis. Whilst the position is for a solicitor who has practical legal experience in both family and criminal law, we would welcome applicants who practice in either area. Provide a quality, tailored and supportive legal service to a range of clients. Assist current clients with their specific needs. Experience: Previous conveyancing experience in a legal office is required. We are currently looking to appoint a Conveyancing Assistant to be based in our Newmarket office on a permanent basis. To assist Conveyancers in the management of caseload by actioning legal procedures as directed by the Conveyancer. To assist Conveyancers in the management of caseload by dealing with file related queries either face to face or by telephone.